Feeling the winter blahs yet? Head to the local garden center and get yourself some seasonal leafy greens. 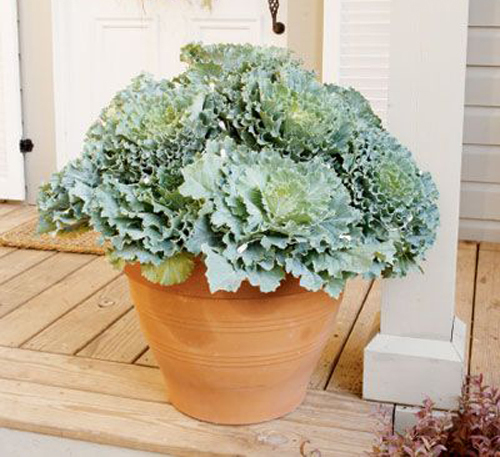 These grow great during the winter months and having them fill up those empty flowerpots you have sitting around your home and patio areas is a great plus. Here's a few suggestions for greens that love winter! 1. Kale - Toss bit sized pieces with fresh lemon juice, garlic and extra virgin olive oil, then saute quickly until just tender. Pair with ancient whole grains such as quinoa or sorghum for a satisfying and nourishing meal. These will fill out a garden planter with curly thick leaves and stems. Many times the underside of the leaf is purple which adds a lot of color to your winter landscape. 2. Collards: A nutritional powerhouse of green goodness, collards make a smart addition to hearty soups. Toss chopped pieces into the pot toward the end of a soup's cooking time, and simmer until soft and tender. Another deep green colorful plant that has large leaves and will fill out any garden planter with no worries. Nice straight leaves with a white vein these are wonderful. 3. 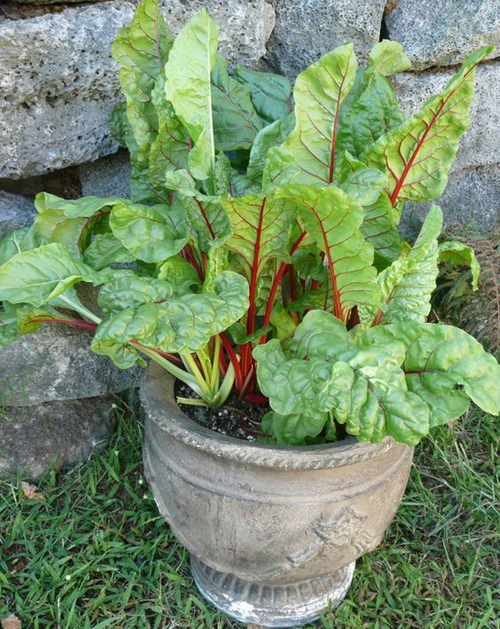 Swiss Chard or Lettuce: A relative of the beet family, this hardy veggies comes in a rainbow varieties that bring welcome color to winter dishes. For brunch, stem leaves lightly, then use as a base for poached eggs. Yummy! We really like this green potted up. It has deep purple stems & veins which off set the deep green semi curly leaves. Color wise they are a beautiful in a garden container as any flower or house plant that we have seen. Check them out. We hope we gave you some great ideas on how to turn winters starkness into a lush and healthy time. 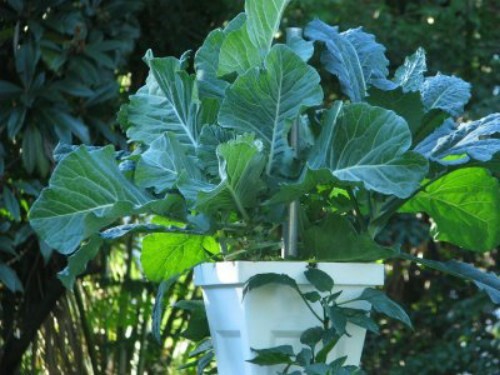 [Read More] Can you grow banana in a flowerpot? 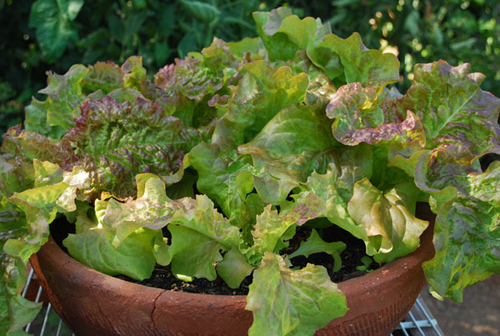 [Read More] Cool weather lettuce in a flowerpot!